Bulk storage tanks for liquid chemical products can take up a lot of space. Many chemical distributors and industrial manufacturers have large facilities and tank farms to house the chemicals they handle. For smaller distributors, especially in urban settings, space limitations might prevent above ground tanks from being an option. When the space isn’t available, underground storage tanks (UST’s) are the preferred method for chemical storage. Gas stations, farmers, chemical companies and even private individuals have utilized UST’s for their liquid chemical storage needs for decades. The EPA estimates that by the 1980’s, there were over two million UST’s in the United States that stored hazardous materials and petroleum products. Until that time, these tanks were largely unregulated. They were often made of bare steel and frequently corroded and leaked their contents into the surrounding soil, posing a threat to groundwater sources. Since underground tanks aren’t visible, a leaking tank could release its contents for years before the leak was noticed. The Federal UST program was created to track and regulate tanks in order to prevent leaks. The program defined a UST as a tank and it’s piping that had ten percent of its total volume underground. Only tanks that store petroleum products or certain hazardous substances are regulated by the program. 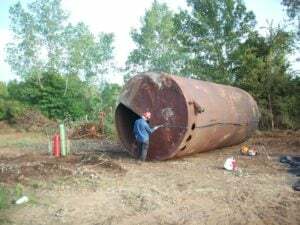 This means that a tank might be buried underground, but isn’t regulated because it stores water or another non-hazardous substance. A tank regulated by the UST program has to meet certain standards for design, installation, and leak detection. These criteria ensure that every new tank minimizes the risk of leaks and put in place a system to detect leaks if one does occur. When a UST is removed, it must still be handled in a way that is compliant with the UST regulations to prevent chemical spills. The UST program also dictates that the tank’s owner/operator as being financial responsibility for monitoring, cleaning up a spill and damages to third party property if a leak occurs. An operator that allows a leak to occur and fails to act on it can still be held liable for the cleanup, even if they’ve already sold the property. In the event that owner is unknown, unwilling or unable to pay, a fund operated by the EPA pays the costs. Since the inception of the UST program in 1984, a majority of the old UST’s that existed prior to the program have been removed. As of March of 2017, there have been over 535,000 confirmed cases of UST releases. 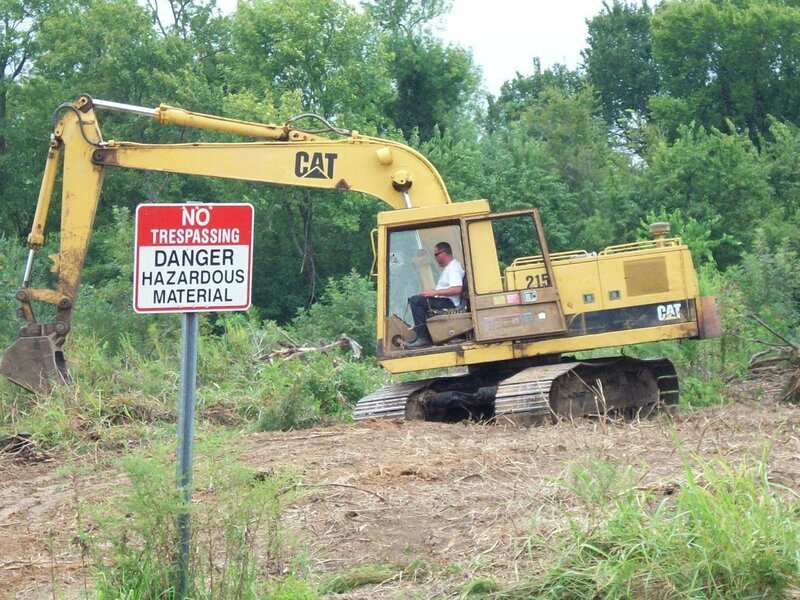 Roughly 86% of these sites have been remediated, but thousands more still remain. Some property owners may not even realize that they have a UST on the premises if the previous owner failed to inform them. It can come as quite a surprise to find out that a tank storing hazardous chemicals is right under the surface. As an environmental contractor working for the TCEQ and property owners, Protect Environmental has helped to detect leaks, dispose of the hazardous contents, remove the tank and remediate the contaminated soil. We can handle all the details of the project including testing, reporting and waste disposal. If you have a UST that you need removed, or suspect that you might have one, feel free to contact our office to learn more about how we can help.